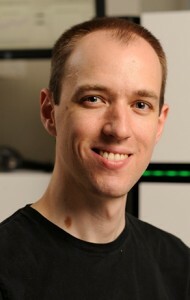 Benjamin Langmead, assistant professor in the Department of Computer Science at Johns Hopkins University’s Whiting School of Engineering, has been chosen by the National Science Foundation to receive its prestigious CAREER Award, which recognizes the high level of promise and excellence in early-stage scholars. The five-year grant will support Langmead’s work developing improved computational and statistical methods for analyzing DNA sequencing data. His goal is to provide faster, more accurate, and more interpretable results to scientists studying organisms with repetitive genomes. Earlier this year, he was selected as a 2014 Alfred P. Sloan Research Fellow in Computational & Molecular Biology for his work in a related area. Langmead’s research focuses on ways of making high-throughput data easier to analyze and interpret. He uses approaches from computer science and statistics to create high-impact software tools widely used in genomics research and by other scientists. He earned his bachelor’s degree in computer science from Columbia University and his master’s and Ph.D. degrees in computer science from the University of Maryland College Park.